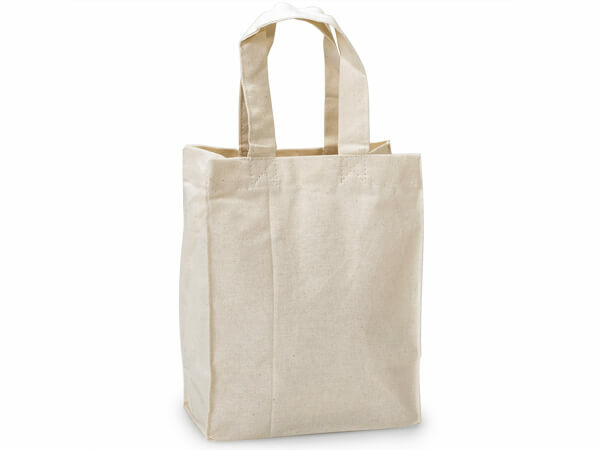 Small 6.5x8" Reusable Cotton totes are the perfect size for quick trips to the grocery store or farmers market. These bags are made from 6 oz. 100% cotton and have cardboard bottom inserts. Each bag is hand sewn and will vary slightly in measurements. These bags can be screen printed with your logo! Call 1-800-547-9727 ext. 4 to custom print these bags.